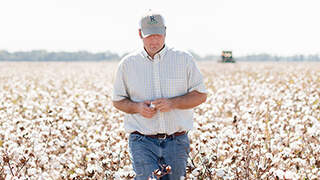 U.S. cotton producers are leading the way in responsible cotton production practices. Through the support of research and implementation of technology, U.S. cotton production is on path to continual improvement, maximizing efficiencies while minimizing inputs. 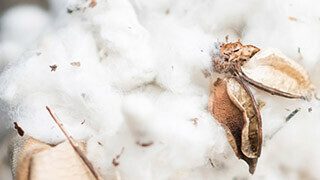 Commitment and innovation define U.S. cotton production. Over the last 35 years, the commitment of U.S. cotton producers, researchers, and industry organizations led to dramatic reductions in land use, soil loss, water use, energy use and greenhouse gas emissions. Innovation in technologies, management systems, and conservation created the opportunities for advancements in yield while taking stewardship of natural resources for cotton agriculture to the highest levels in the world. For the next decade and beyond, U.S. cotton producers and industry organizations are setting new environmental targets to keep pushing the frontier of sustainability and leading the worldwide effort in responsible cotton production. The target areas and goals were established using science-based evaluations, including key performance indicators (KPIs) for producing each pound of cotton and pathways to achieve them. Increasing soil carbon, often referred to as regenerative agriculture, is seen by many organizations as a key strategy to reducing atmospheric greenhouse gas (GHG) that leads to climate change. The soil carbon measurement is important not only for understanding carbon flows to and from cotton fields, but it is also an accepted indicator of soil health. The USDA’s Natural Resource Conservation Service (NRCS) Soil Conditioning Index (SCI) provides guidance on practices that increase organic matter, or carbon, in the soil and is used as the KPI for this sustainability goal. An increase in the SCI by 30% means an increase in the number of fields that are increasing soil organic matter. The primary actions to improve soil health are the use of cover crops and reduced tillage. Currently, approximately half of U.S. growers currently use winter cover crops, and no-till and strip till adoption has increased from 36% to 45% from 2008 to 2015, respectively. There is a significant growing interest in the use of winter cover crops by U.S. producers and there has been an increasing trend towards no-tillage and strip tillage. In addition to reducing the amount of GHG released to the atmosphere, improving soil heath can also contribute to: increased crop yields; reduced water use; increased nutrient uptake; reduced fertilizer use; reduced nutrient runoff; and reduced soil loss. No-till practices increase microbes and organic matter in the soil. 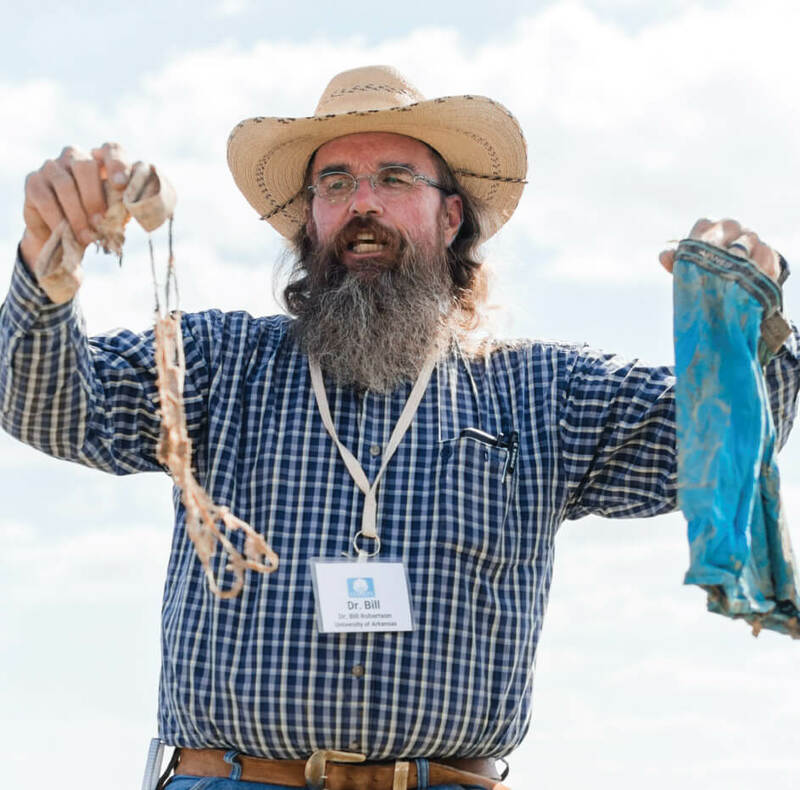 The degraded cotton underwear (left of image) demonstrates the microbes present in healthy soils as well as the ability of cotton to biodegrade compared to synthetics (right of image) after a five week time period. Learn more about how U.S. cotton growers can improve soil carbon, improve soil health and reduce erosion by feeding soil microbes from Dr. Bill Robertson, Extension Cotton Agronomist at University of Arkansas Division of Agriculture – and a self-proclaimed ‘till-aholic’. The effective use of agricultural land is critical to creating a more sustainable future. Population growth and the related increased demand for food and fiber necessitates a need to maximize land use efficiency, or yield. Implementing improved irrigation scheduling tools (e.g., computer programs and sensors). Research aimed at increasing cotton yields and reducing cotton land use are seen as key priorities for reaching the sustainability goals while also increasing the profitability of growers. Of the many areas of research and activities to increase yields, the following are some of the most promising. Improvements in plant breeding techniques combined with more rapid adoption of improved varieties. Geospatial technologies and digital technology applications provide growers with information to improve land use efficiency. Cotton growth naturally removes CO2 from the environment through photosynthesis, however, the use of fertilizers and other on farm activities release CO2 and other greenhouse gas (GHG) to the environment. One of the strongest contributors to cotton’s agricultural GHG footprint is the use of synthetic nitrogen (N) and its energy intensive manufacturing process. In addition, N is a strong GHG contributor because a small percent of applied N fertilizer is lost to the atmosphere as nitrous oxide, a potent GHG. 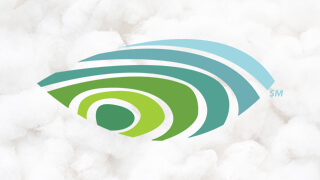 The cotton industry is working with scientists to decrease the amount of nitrogen required to produce each pound of cotton through efforts to increase nitrogen use efficiency (NUE). Refined management systems are calling for precise amounts of nitrogen to eliminate waste and over application. With increased use of site-specific management and new technologies such as on-the-go sensors, there will be increases in NUE and corresponding decreases in GHG emissions. 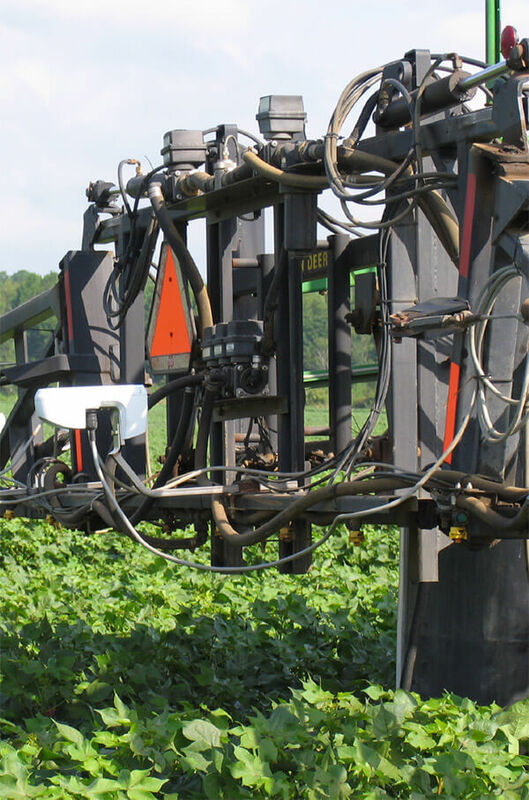 Sensors enable growers to more accurately measure plant needs and to be more efficient with the inputs applied to the crop. Soil conservation efforts are high priority for cotton farmers as soil losses can create environmental degradation, reduce farm productivity and decrease the quality and quantity of usable soil. While cotton field soils are continually produced from parent material, the industry goal is to produce more new soil than is lost due to water or wind erosion. From 1980 to 2005, large numbers of cotton growers in the Mid-South and Southeast adopted conservation tillage to reduce soil erosion. This land use pattern was aided by the launch of cotton varieties tolerant to broad-spectrum foliar herbicides in 1997, and by their rapid adoption across the U.S. Cotton Belt over the next five years.3 More recently, grower interest in cover crops for weed suppression and for soil health has extended the protection of soil to intense rainfall. Cover crop adoption for weed control and soil health will continue to be an important component of continuous improvement efforts of the U.S. cotton industry. Weed resistance will continue to expand as more weed species gain resistance to existing herbicide modes of action. Since no new modes of action4 are anticipated in the next ten years, growers will be under even greater pressure to adopt cover crops to suppress weeds. Research will clarify which cover crop species and varieties provide allelopathic weed suppression, enhancing cover crop efficacy. Soil health is a major initiative of the USDA-NRCS.5 The initiative is designed to expand the benefits of rhizosphere biology (nutrient and water uptake through roots) by increasing the soil organic matter and diversity of shoots, roots and microbes grown in the field. Ancillary benefits include seedling wind protection and pathogen suppression. Grower adoption of soil health measures will continue to be promoted in education outreach efforts. The majority of the U.S. cotton crop is grown without irrigation or with only supplemental irrigation. Thus, rainwater capture, infiltration and protection from soil surface evaporation is beneficial for cotton yield. With increasing intensity of rainfall attributed to climate change6, research and educational efforts will increase use of no-till, cover crops and surface residue which enhance rainwater utilization. These practices also prevent soil erosion. Cover crops suppress weeds, improve soil health and prevent soil loss. Cotton is an inherently drought tolerant crop, however, in some regions of the U.S., cotton fields are irrigated to increase productivity. Increasing water-use efficiency (WUE) would allow growers to produce more cotton using the same amount of water; doing more with less. This increase would help the U.S. cotton industry meet the demand for more sustainable fibers while using less resources per pound of cotton. The use of improved irrigation scheduling tools (e.g., computer programs, and crop and soil sensors). The trend of increased yields without increased water use will continue, as the adoption of irrigation scheduling technologies is promoted. There is a strong business case for improving WUE. Data from Daystar et al. (2017) indicate that producers using sensor-based irrigation achieved 100 pounds higher yield/acre without increased water use compared to producers not using sensors. Did you know U.S. cotton growers can use smartphone apps to schedule irrigation only when the cotton plant needs it? George Vellidis, professor of Agricultural Engineering at the University of Georgia, tells us how “Smart Irrigation” works. Better water delivery systems help growers to increase water use efficiency by delivering water closer to the plant, preventing evaporation. The irrigation system uses scheduling tools to only apply water when and where it is needed. The primary energy expenditures in cotton production include manufacturing nitrogen fertilizer, harvesting, ginning and tillage. U.S. cotton growers began reducing their energy expenditures in the 1980’s by employing reduced tillage and reducing nitrogen applications per pound of fiber produced. Since the energy requirements for harvesting and ginning are relatively constant, the pathway to further decreases will be addressed by the increase in the number of growers employing reduced tillage and reduced nitrogen applications, as well as emerging technologies. Robotic implements are already available for factory and residential cleaning. Considering the large market for robotic implements in agriculture, these will be entering the market soon and will lower cotton harvesting energy use and cost. Even without a major improvement in machinery, it is anticipated that gene editing will facilitate development of cotton varieties with lower gin energy costs due to the ability to manipulate the fiber to seed attachment force (ginning represents approximately 25% of the U.S. cotton energy footprint for non-irrigated conditions). 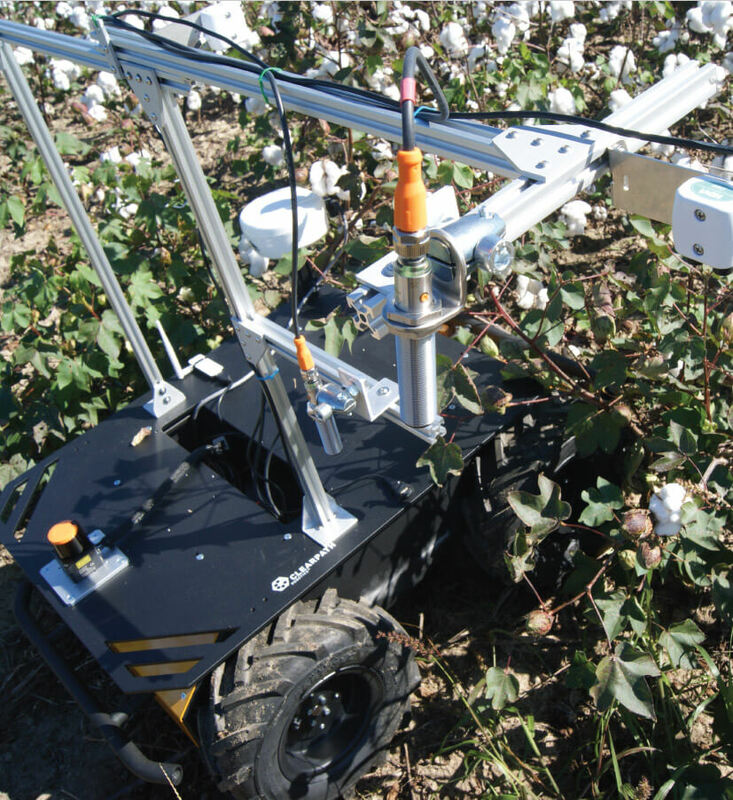 Robotic technologies are one tool that U.S. cotton growers can employ to further decrease their energy use in the near future. Learn more about the tools and technologies that U.S. cotton ginners can employ to reduce energy during the ginning process from Paul Funk, USDA Agricultural Research Service-Southwestern Cotton Ginning Research Laboratory. 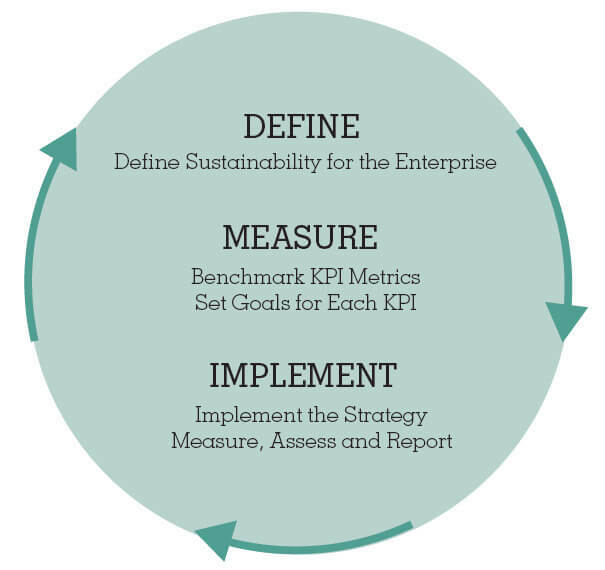 The goal setting process followed the Framework for Sustainable Agriculture standard S629 recently adopted by the American Society of Agricultural and Biological Engineers (ASABE). Leaders from U.S. cotton industry organizations including the National Cotton Council, Cotton Board, Cotton Council International, and Cotton Incorporated engaged ten technical experts in cotton biology and production to discuss how future technologies would impact trends in 14 key performance indicators, which are used to assess the sustainability of cotton production systems. In addition to leading experts in cotton production related fields, a recent survey of over 50 cotton producers on their perceptions of future opportunities and challenges influenced the discussion. 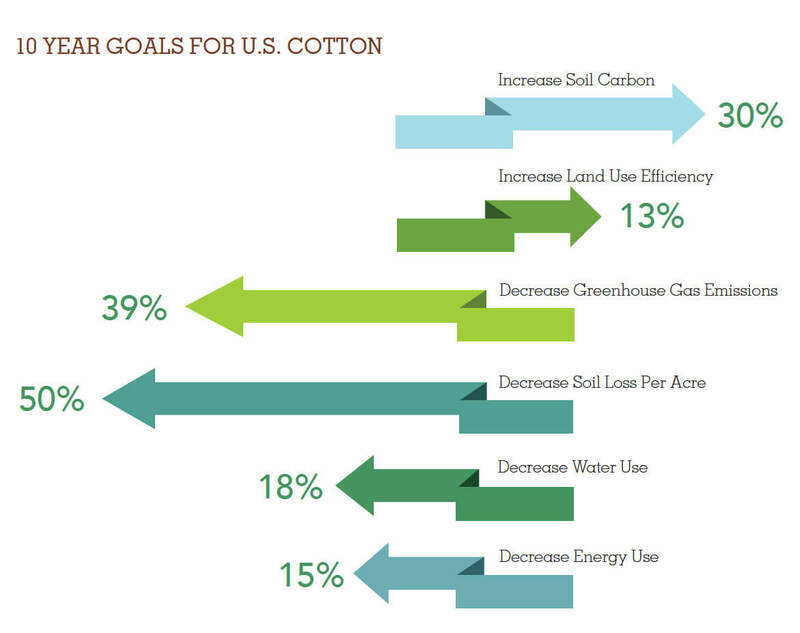 As a result, recommendations for six science-based U.S. cotton industry goals were presented to the newly formed U.S. cotton sustainability task force. A seventh goal, enrolling 2.5 million acres in the Fieldprint® Calculator, was also set. The Fieldprint Calculator is the tool that will measure progress and each environmental KPI. The recommendations included goals for the next five, ten and 30 years. The five and ten year goals are more tactical in nature, while the 30 year goals reflect aspirational goals for the industry. 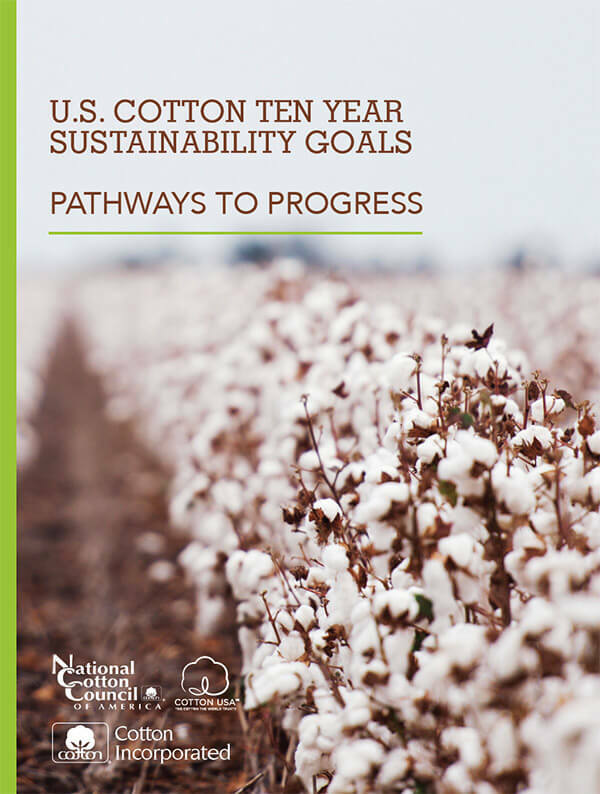 This summary document highlights the ten year goals as approved by the U.S. cotton sustainability task force. Field to Market’s Fieldprint Platform offers U.S. cotton growers and others the ability to measure their sustainability progress. Want to know more about how this tool works? Hear from Lexi Clark, Program Manager with Field to Market.